Living in The Netherlands is known as the Gateway to Europe as a result of its waterway network, which links Belgium, France and Germany. With a population of approximately 16.6 million people, it is a very densly populated place to live and is one of the most crowded places in Europe. The Netherlands is extremely flat with a staggering 27% of the entire country being built on reclaimed land. This has led to the immense sprawl of dykes throughout the country, for which it is now famous. The Netherlands is culturally rich and has many of the world’s most famous artists including Rembrandt, Vermeer, Van Gogh and Mondrian. The Netherlands is a fairly popular location for expats, the majority of which are able to adjust quite easily to the Dutch way of life. Expats are so welcome here that those with residency status are permitted to vote in local elections. The biggest challenge Expats face when living in the Netherlands is the beauracracy. Guidelines and rules are applied to almost everything and expats often find it frustrating trying to cut through the red tape, and its associated long waiting times, in order to achieve what seems like basic tasks. The cost of living in The Netherlands has risen steadily over the past few years but despite this it still remains lower here than it is in many other European countries and in the 2012 Mercer cost of living survey the city of Amsterdam featured in position 57 on the list of the most expensive cities in the world in which to live. The Netherlands has a high population density and this impacts property prices in the country. Foreigners are only eligible for free-sector apartments, which means the highest rates will be paid for the smallest apartments. Tax rates are also high. However, it isn’t all doom and gloom. The proliferation of low cost supermarkets entail that Groceries remain fairly cheap and medical services can also be accessed at a reasonable price. Dutch (official), Frisian (official). English is widely spoken and understood. It can be very challenging to find a job in the Netherlands if you are a foreigner. The majority of jobs require good Dutch language skills and there are also restrictive regulations regarding the employment of non EU/EEA citizens. Finding a job is easier for those who are living in The Netherlands and looking for work in retail, restaurants/bars or teaching foreign languages. A significant source of employment within the Netherlands is within the services industry and the majority of jobs exist in areas such as business services, health and welfare services, trade and transport and communications sector. Unfortunately there are few national holidays in The Netherlands, so any vacation days negotiated as part of a contract will not be supplemented. Foreigners living in the Netherlands on a permanent basis and/ those earning a salary in the Netherlands are required to purchase a basic insurance from a Dutch health care insurance company. Everyone living in The Netherlands above the age of 14 are required to carry some form of identification (‘verblijfsdocument’) as proof of residency status. There is an on-the-spot fine for non-compliance. Whilst most breeds of dog are permitted entry into The Netherlands, Pit Bull terriers and associated crossbreeds are not permitted so if you have this type of dog you will have to leave it at home. In The Netherlands there is a tax reimbursement ruling that is known as the 30% ruling. This states that foreign workers in the Netherlands are permitted a tax free allowance amounting to 30% times 100 / 70 of the gross salary subject. The maximum tax rate for expat workers in thus 36.4%. The Netherlands is committed to choice in Dutch education and you’ll find a huge range of schools in the Netherlands to consider when enrolling your child into the Dutch education system, including numerous international schools of which some are also subsidised. Compulsory education in the Netherlands, by law, applies to children of all nationalities from 5 to 18 years who are living in the Netherlands. Children are leerplichtig (under a learning obligation or leerplicht of Netherlands education) from age five for 12 years of full-time education (until 16), plus one or two years part-time until the attainment of a diploma (until 18). In the Netherlands, however, most children start primary school (basisschool) the day after their fourth birthday, with many children transitioning from Dutch childcare or preschool centres, for which most parents can receive government childcare allowance. Generally, schools in the Netherlands offer high-quality Dutch education. In the renowned global Pisa/OECD (2012) rankings for 15-year-olds, the Netherlands’ education was ‘above average’ for mathematics (10th), and ranked 15th for reading and science, while all 13 state-funded Dutch universities typically score well in The Times Higher Education World University Rankings. Schools in the Netherlands: local or international? The Netherlands is among the world’s top countries for equity in education opportunities, which means anyone can open a school based on their personal beliefs, provided they meet Dutch education system standards. Additionally, private schools following particular religious or pedagogic principles have received equal state funding as public schools since 1917. The number of privately run schools more than doubles public ones in the Netherlands. International education is available at both local Dutch and private schools in the Netherlands. Eighteen Dutch schools are currently following a pilot program for bilingual (Dutch/English) education, where certain subjects such as history, biology or music are taught solely in English. If the Ministry of Education concludes in 2019 that the pilot was a succes, the number of bilingual schools in the Netherlands is expected to grow rapidly. There are also some Dutch schools that have recently introduced the theme-based International Primary Curriculum (IPC). In 2013, there were 965 primary schools in the Netherlands that offered English classes, and a further 100 that taught German, French and Spanish. Many schools also combine groups one and two (age four and five). The children in this group are called kleuters, and the group is known as kleuterklas. In kleuterklas the focus is on learning through play, social skills, fine and gross motor skills, structure and gradual preparation for reading and writing. Formal reading and writing starts in group three (age six). In any case, by law all schools in the Netherlands are obliged to start teaching English as a subject by group seven (about age 10) at the latest. An increasing number of schools, however, are deciding to start English earlier, sometimes even from group one. You can also find primary schools that teach French, German or Spanish. Schools in the Netherlands: Local or international school? Your finances, location, nationality, the age of your children and how long you are likely to stay are the main factors you should consider when selecting a school in the Netherlands. While teenagers might appreciate the educational and social continuity provided by an international school, younger children might get a greater sense of belonging by attending a local school if you plan to stay for a while. By learning good Dutch they will connect to their new world more easily. You certainly won’t be the only non-Dutch parent in the playground. If studying the International Primary Curriculum or International Baccalaureate programme, your child can transition to any global school offering the same education system. If you choose a Dutch school, foreign children aged six and older are usually required to follow a Dutch immersion programme (schakelklas or nieuwkomersklas) before starting regular education in the Netherlands. Younger foreign children, however, can usually start at a regular Dutch primary school or preschool straight away. See a list of international schools in the Netherlands and primary and secondary schools in the Netherlands. Free primary and secondary state education in the Netherlands is available to everyone. Parents are only asked to pay a voluntarily contribution to certain special activities and events, which is usually below EUR 100 per year although this varies between schools. Additional costs include lengthier school trips, lunchtime supervision (tussenschoolse opvang/overblijven) and after-school care (buitenschoolse opvang), which the school provides or sub-contracts to an external daycare organisation. While students up to age 16 attend school for free, besides occasional supply fees, students between the ages of 16 and 18 pay annual tuition fees. Students from low-income families, however, can apply for grants or loans between age 16 and 27 while in the Dutch education system. There are also private primary and secondary schools in the Netherlands that are not government funded or subsidised. These schools typically have smaller classes compared to regular Dutch schools, and sometimes offer specialised programmes for children who have minor learning difficulties, for example dyslexia or language difficulties. Fees vary greatly although typically start around EUR 10,000 per year. Every city or town has its own school application policy. In Amsterdam, for example, your child needs to take part in a lottery procedure at around three years and two months old, although you will get priority for placement in the eight schools closet to your house and you must rank at least five schools in order of your preference. In The Hague, on the other hand, the application deadline is at age one and you can only apply for one school, which usually has to be located in your postcode area. In other cities the schools work with a waiting list and you’ll need to sign up as early as possible. You should enquire well in advance, even when you are pregnant, with the municipality (Gemeente) or the school of your preference how it works in your area. State-run schools are technically not allowed to refuse admission, unless they are full. On the schools’ websites you can find brochures and which days you can visit the school (open day/info session). Be prepared that most of the information sessions will be held in Dutch. School inspection reports can be viewed online at www.owinsp.nl under Zoek Scholen (enter the name of the school and/or town). The visual representation of green (good) and red (weak) will give some idea of performance. Note that this applies to state schools and Dutch international schools only. On www.scholenopdekaart.nl you can also find information about schools in the Netherlands and their results. Some 90 percent of children attend early education in the Netherlands from the age of three, and almost all children are enrolled by the age of four (when children are invited for orientation). Some schools in the Netherlands can arrange early childhood education programmes for children aged two to six whose first language is not Dutch, so ask if this is available if needed. You find schools in the Netherlands at www.scholenlijst.nl, via your city’s website (onderwijs=education), or on Expatica’s education channel. State-run schools (non-denominational) provide secular Dutch education, but they can also offer teaching around specific philosophic or pedagogic principles (Montessori, Steiner etc.). Public schools are governed by the municipal council or a public legal entity or foundation set up by the council, and are subject to conditions of the Dutch school system. About two-thirds of all children attend special private schools or independent schools in the Netherlands. Financially they have the same status as public openbare schools, although most of them are denominational (Catholic, Protestant, Islamic, Jewish, Hindu, etc. ), or follow specific philosophic principles. Private schools are governed by a board (which often consists of parents) or the foundation that set them up. Special education in the Netherlands is subsidised and essentially free, although all schools ask for a contribution for things such as school trips. Special schools may decide themselves to ask for a set amount of parent contribution, but it is rarely higher than EUR 800 per year. Some special schools base the rate of the parent contribution on the parents’ household income. International schools in the Netherlands provide education for global students of any nationality. Dutch International Primary Schools (DIPS) and Dutch International Secondary Schools (DISS) provide international education at reasonable fees because of subsidies from the Dutch government. They are designed for non-Dutch families living in the Netherlands for a limited time, and Dutch families returning from, or preparing for, an overseas assignment. These schools offer the International Primary Curriculum (4 to 11 years), the IGCSE (11 to 16 years), or the International Baccalaureate programmes at primary (4 to 11 years) and middle years’ level (11 to 16 years). All DISS teach the IB-Diploma programme (16 to 19 years). A new curriculum, IBCC, offers an alternative to the IB-DP in the final years (www.ibo.org/ibcc). See our list of international schools in the Netherlands. These schools in the Netherlands teach either an international curriculum (as above) or a specific country’s national curriculum (eg. American, British, French, German, Japanese, Korean, Indonesian, Polish), sometimes in the native language. Facilities (swimming pools, football pitches) are often spectacular compared to the Dutch schools. 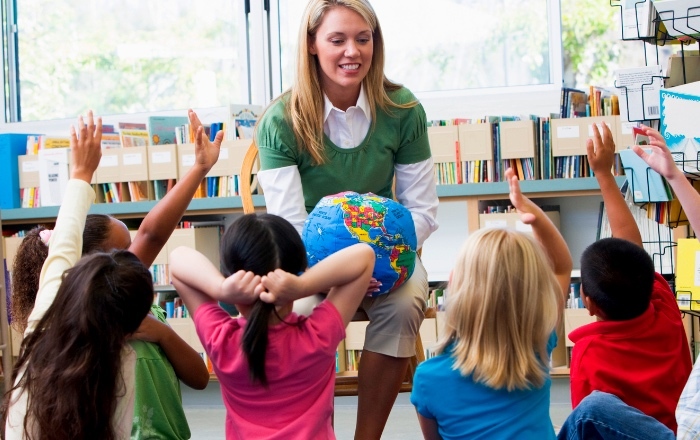 Read about international schools in the Netherlands. Special private schools (above) should not be confused with speciaal onderwijs, which are special needs schools in the Netherlands that teach pupils with more severe learning problems. The national ‘Appropriate Education’ (Passend Onderwijs) policy, however, is designed to enable and encourage as many children as possible with minor learning difficulties to be educated in mainstream schools. Read about special needs services in the Netherlands. There are schools in the Netherlands for children with special needs but also special needs teachers at Dutch schools. Since 2014, all schools are required to cater to any child’s needs under the ‘All inclusive Act’, although participation in mainstream schools in the Netherlands has been encouraged through other policies for several years. Lighthouse Special Education is one school that caters to the international community with special needs children, providing extensive assistance in English. Entry is by referral. The Ministry of Education, Culture and Science sets quality Dutch education standards, attainment targets and social objectives that apply to all types of schools, but individual schools ‘fill in the details’ of the curriculum and budget allocation. Education policy includes increasing bilingual opportunities, connecting education with the job market, and raising the quality of schools that do not meet the Education Inspectorate’s standard. Since 2015, the Dutch school system has allowed primary schools to teach 15 percent of courses in English, German or French. This means that not only can pupils learn a second language, such as English, they can also learn other subjects, such as biology or history, in one of these languages. The government sets attainment targets in six curriculum areas for the education system in the Netherlands: Dutch, English, arithmetic and mathematics, social and environmental studies, creative expression and sports and movement. There are eight years of primary Netherlands education. Children are placed in ‘group 1’ upon entry (at age four or five), and move up a group every year after Dutch school holidays; different age groups may therefore be in the same class depending on when each child started. In group 8, the last year of primary school (basisscholen), all pupils take the ‘Central End Test for Primary Education’ (Centrale Eindtoets Basisonderwijs, known as the CITO test) in February. This is a standardised aptitude test with questions testing Dutch language and comprehension skills, mathematics, study skills and (optionally) world orientation, which is a combination of history, geography, biology and world religions. All primary schools are obliged to take part in the end exam. Before the end exam takes place, group eight teachers assess which level of secondary school education would fit each pupil best. They base their recommendations on various factors including the pupil’s test scores from their whole school career, intelligence, attitude towards learning, eagerness to learn, interests and motivation. Based on the end exam results and teachers’ opinions, each pupil gets a recommendation for the appropriate level of secondary school education. The assessment of the teacher is generally the decisive factor. From 12 years, pupils choose from vocational or pre-university diplomas based on their ability under the Netherlands education system. In the first years all pupils study the same subjects (to different academic levels), known as the basisvorming, followed by a second stage (tweede fase) in which students choose a specialist profile. VMBO (a further four years of school): Prep school for vocational secondary Dutch education; those who achieve the highest level (theoretische leerweg) can enter HAVO studies. VMBO graduates must continue studying until age 18 or until they obtain a basic qualification (minimum MBO level 2). Read more about vocational Dutch education. MBO: Secondary vocational Dutch education. MBO programmes vary from one to four years depending on the level (1–4). All programmes combine practical learning in the classroom with hands-on training. If a student has successfully completed the Dutch VMBO or the international middle school programmes IGCSE or IB-MYP, but is not admitted to the IB-Diploma Programme, the MBO can prepare pupils for work or, if level 4 is achieved, professional studies (HBO). A number of English-language programmes are offered. HAVO (five years): Senior general secondary Dutch education. Provides entrance to higher professional education (hoger beroepsonderwijs HBO) at ‘vocational universities’. VWO (six years): Pre-university Dutch education. Prepares students for academic studies at a research university (Wetenschappelijk Onderwijs WO). VWO schools can be athenaeum, gymnasium or lyceum (a combination of the first two), a difference being that Greek and Latin are core subjects in gymnasium programmes. English is a compulsory subject in the secondary Dutch education system. VMBO pupils study one modern language and HAVO/VWO pupils at least two. Other core areas include mathematics, history, humanities, arts and sciences. Also at a secondary level, students have the choice between state-run or special private schools. Just under a third of the 659 secondary schools are run by the public authority. In 2016 there were 130 bilingual secondary schools in the Netherlands, most of them offering education at a VWO level, as well as some HAVO and VMBO bilingual courses. Only students that master the Dutch language at an appropriate level will be admitted, and school is concluded with a Dutch state exam. There are many language schools in the Netherlands offering Dutch courses; see a listing of Dutch language schools. There is a difference between Junior TTO schools, where you can partly study in English for the first half of the duration of the program, and Senior TTO schools, where the bilingual program continues till the end and enables you to obtain an official English language certificate (see www.europeesplatform.nl/tto). If you’re looking to study in the Netherlands, read our guide to study in the Netherlands and Dutch universities. What is the CITO exam? With our long experience in the expat market, we come highly recommmended. Intrigued? Go to the contact page and discover what other property owners and customers have to say about us and how we operate.